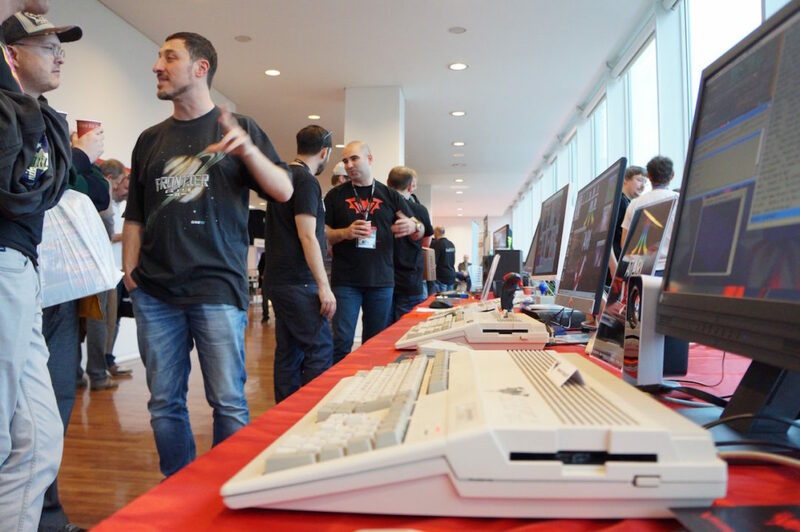 All kinds of classic Amiga’s were put on a stand at Amiga32. Showing how Vampire works. 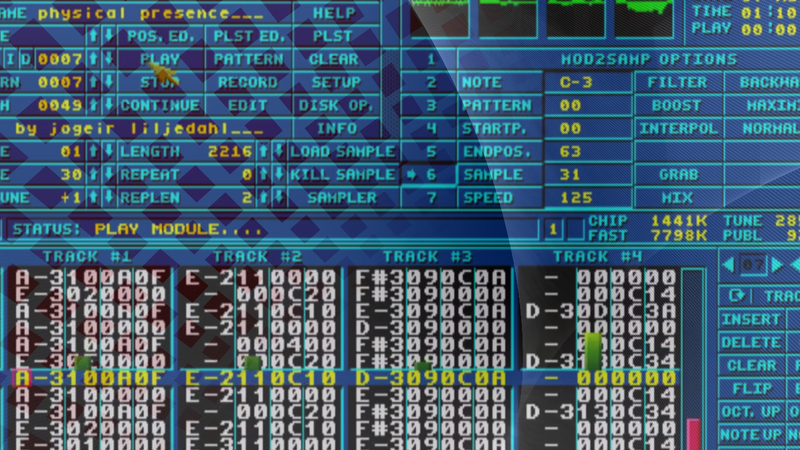 How the GOLD 2.7 release is coming and how much capable it is of running AtariOS called GEM and even emulate Mac aswell as showing AGA and the RTG performances etc. The Vampire effect at the Amiga32 was hot. 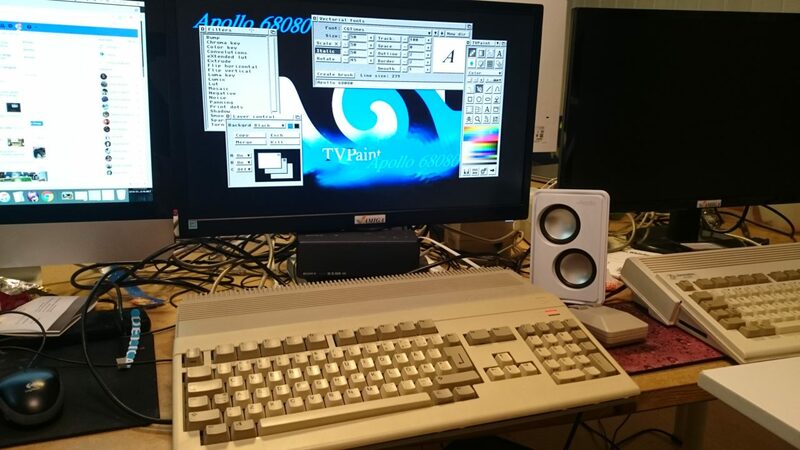 Especially with one of the Amiga 500 with the Vampire inserted that played musicvideos without issues. Jeff Porter watched together with Gunnar and said that Vampire FPGA is like putting a Ferrari engine onto a Lada and it works. He was just stunned about what he saw. Gunnar explained for Jeff Porter that he have always been into AmigaOS and explained how great AmigaOS is because it lets you control every bits and bytes of the hardware it is running on. Jeff aggreeded on that. It was really fun to see how much positive impression the Apollo Team gave Jeff Porter at the event, which walked around the event with a Bomber 52 Commodore t-shirt. 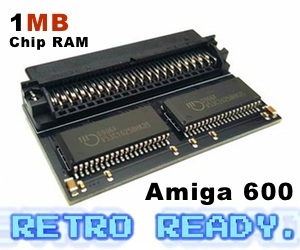 Which he revealed that was the nickname for the Amiga 500 before it was launched. Impressive person and Gunnar is a fantastic Amigan keeping Apollo Team and their FPGA accelerator cards going on. Not only the V2 of Vampire’s was shown at Amiga32. 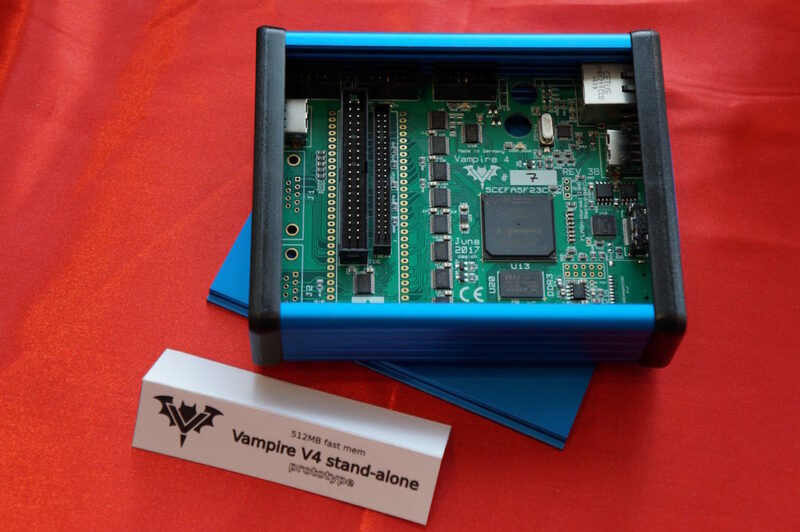 Also the standalone Vampire V4 motherboard could be seen. It was for sure a feast for the eye. Only a prototype, but the Apollo Team told Amitopia at the event that their launch of V4 in December is planned and will be executed if their wifes and girl friends doesn’t stop them. the visitors there that the Amiga is much healthier than before. With the Vampire effect striking,.. out of the ashes we will see many new developers from the classic Amiga scene that will release software for AmigaOS that requires more. There is already Quake, Cannonball (enhanced OutRun) and other games released for running on 68060 or 68080++. Vampire effect is for sure a positive effect for the Amigaworld. 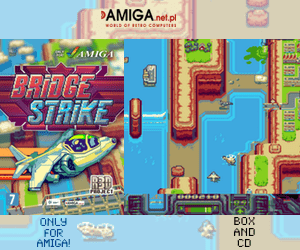 Now,.. let these extremely talented guys at Apollo Team push the Amiga forward. 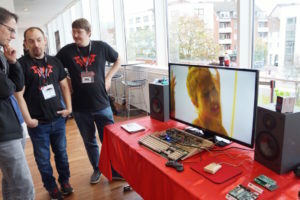 Vampire V4 stand-alone motherboard on display at Amiga32 in Germany. Looks really small!